The marina at the Cove accomodates 76 boats. 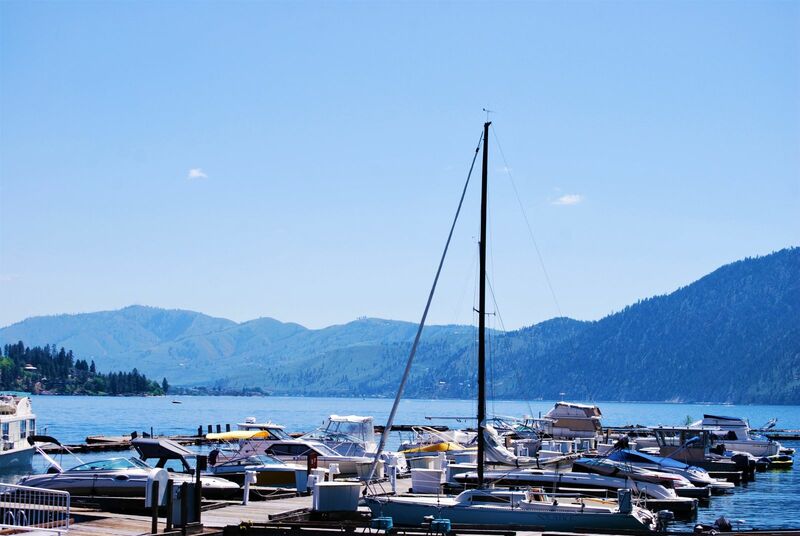 It provides year round deep water boat moorage. A female mallard poses for the camera at the Cove. 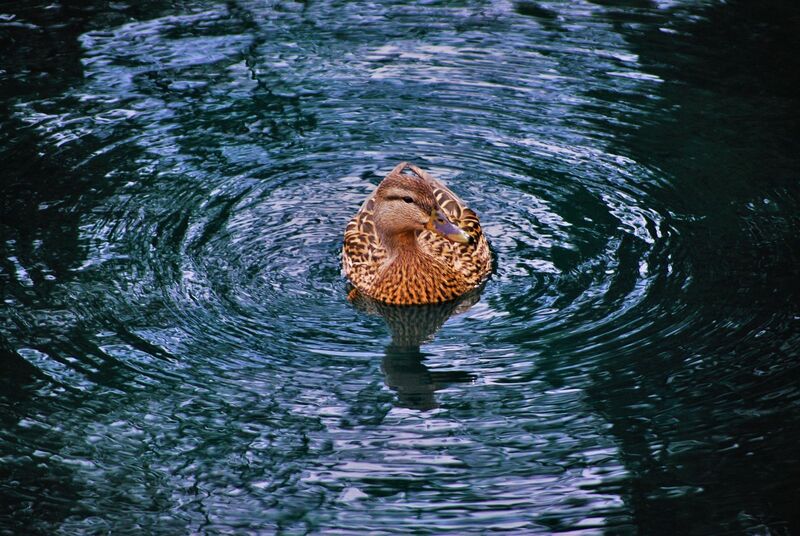 The mallard is a dabbling duck that is common to the waters of Lake Chelan. 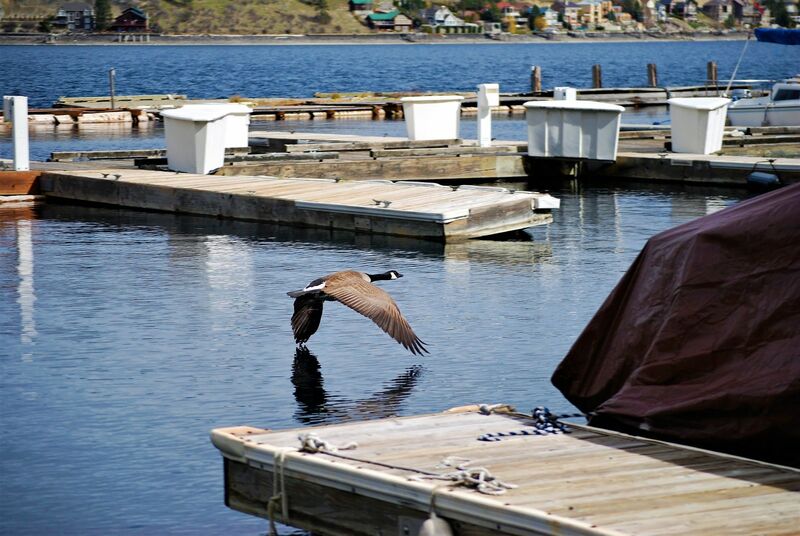 A Canadian Goose takes flight at the Cove Marina on the South Shore of Lake Chelan.